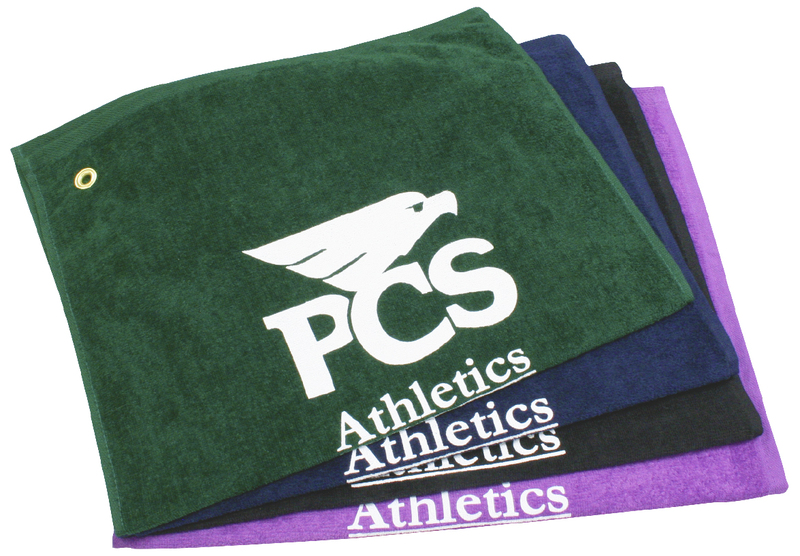 Colored Golf Towel, comes in Black, Green, Dark Blue & Purple.
. Includes Grommet and Hooks, hooks are bulk packaged.